When Skeeter Malcolm’s brother disappears, he is convinced it is the work of his main rival in Fenton County’s criminal underworld. But Rose is not convinced. With help from her partner Nelly Kate they set about finding Scooter and hunting down the real kidnappers. 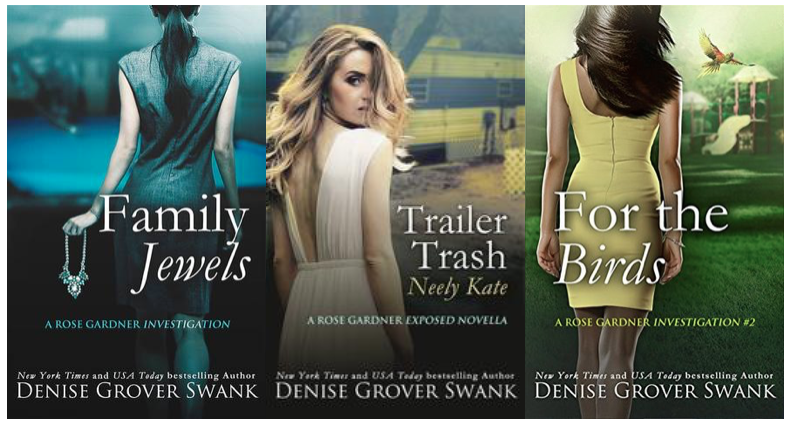 Denise Grover Swank is a favorite author but I’m the first to admit that not all of her books are winners. When she hits, she hits that ball right out of the park, but she’s also written one or two books that haven’t really worked. For the Birds is well and truly out of the park. It’s over the freeway and in the river on the other side. I’ve read pretty much everything Denise Grover Swank has written and I think this book has taken the top spot. I loved it. 5 Stars. 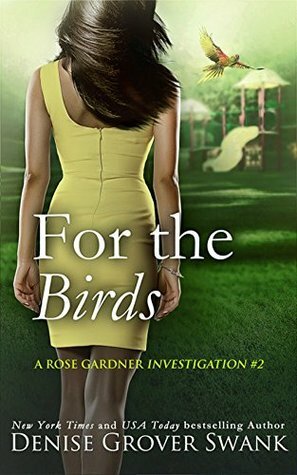 Note: Rose Gardner Investigations and Neely Kate Mysteries should be read together.